Welcome to another fun packed Feature Friday. Where every Friday I feature a Blogger, Post or Artwork, Youtuber/Video or every second Friday is Post-A-Rama Feature where I share in the community of articles I have read. I wish to share the happenings of the anime community with, fellow anime lovers, nerds, otaku’s. November already where has the time gone holy cow, speaking of time there won’t be a extra feature video or art work this week. I’ve not had much time to watch people’s videos or scroll through art but ready to find out the two features for this week!! This week’s Blogger Feature goes to a new blogger I came across Lethargic Ramblings. I have not been following them long but have been impressed with their consistent on their blog, a very frequent poster. Reviews, rambles, lists and a interesting piece called X and Y discussing why an anime is better than the other, They have a full explanation of each of these under the about me section. I had the opportunity to read a ramble piece on Opinons and Objectivity Quality, where they discuss of society these days dwindles your opinion and that not everywhere will agree with your opinions. This was a great read recommend you all go read and follow this awesome ani blogger, I keep finding so many amazing bloggers recently. 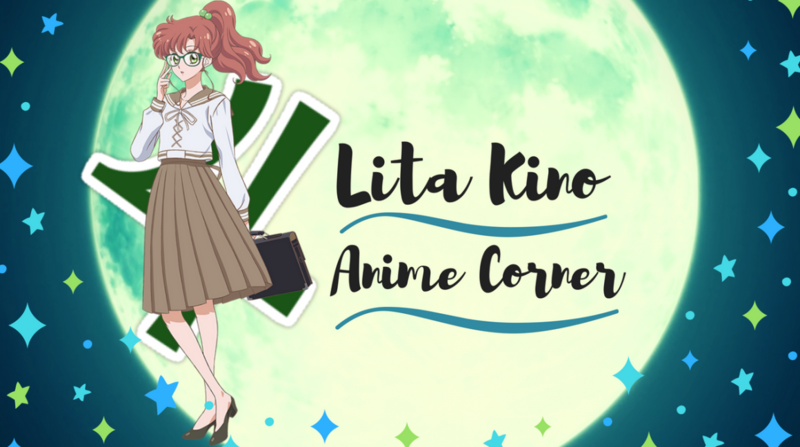 This week’s Post feature goes to Lovely on her review of the live action movie Paradise Kiss. Lovely is someone’s blog I go to for drama stuff when I have the chance, her review caught my eye and love hearing her opinions of when it comes to Japanese/Korean dramas. I didn’t know there was a live action for this anime series till I came across this review. So if you love drama’s yourself and have never seen this check out Lovely’s review !! Oh wow, I didn’t expect to get featured in a post like this. Thank you so much for the mention and even more so for your kind words! I really appreciate it and it means a lot to me. It’s reassuring to know that people are enjoying my posts. And a big congrats to Lovely as well! Once again, thank you. You’re awesome. That’s true, everyone deserves to have their posts read. Looking forward to seeing the future mentions! Lethargic Ramblings does do some great posts. I really enjoy reading them as they always make me think. Thanks for sharing.